Kellie is learning to fly at Bankstown based Red Baron Flight Training . Len Costa and I had a chat with Kellie regarding her initial research into her flying training and her limited experience thus far. 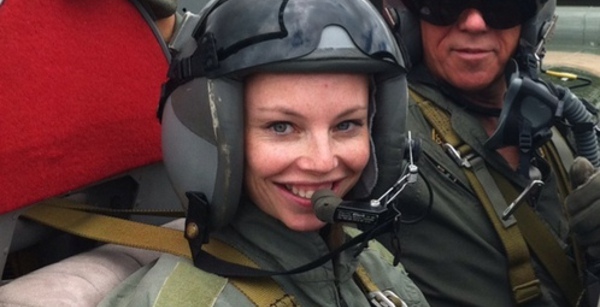 At the time of recording Kellie has accrued 7 hours of basic flight training. Formerly known as Sydney Aerobatic School, Red Baron have a unique syllabus that introduces students to aerobatics and unusual attitude training from the very first lesson. Graduates of their GFPT (General Flying Progress Test) course will graduate with a basic aerobatic endorsement permitting loops, aileron rolls and spins. The school claims that it will teach its clients to fly an aeroplane better and more confidently than any other flying school in Australia. They state that their courses are not the cheapest or the shortest… just the best. Whether or not this is true, their ab-initio training certainly give their customers experience that can’t be gained elsewhere as part of elementary training. I’ve previously recorded audio content with the school’s founder, Noel Kruse, and we’ll be sure to post it soon. If you would like to connect with Kellie on Twitter, you’ll find her at @PilotKellie .